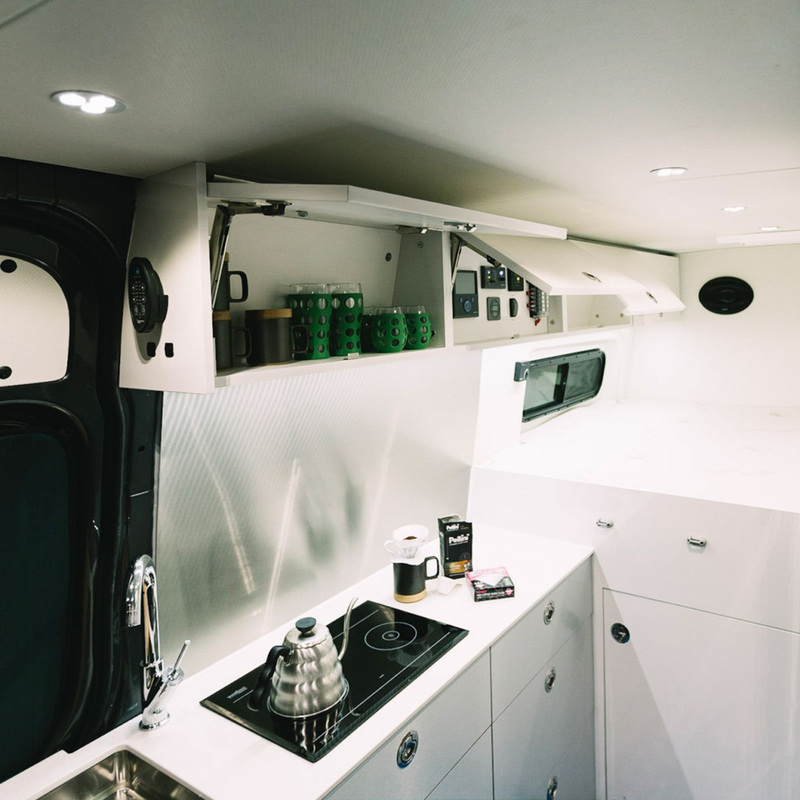 The experience of travelling in a Nomad Vanz Van is made possible by a unique orchestration of innovations. Here is the technology that connects to create a feeling much greater than simply the sum of our parts. 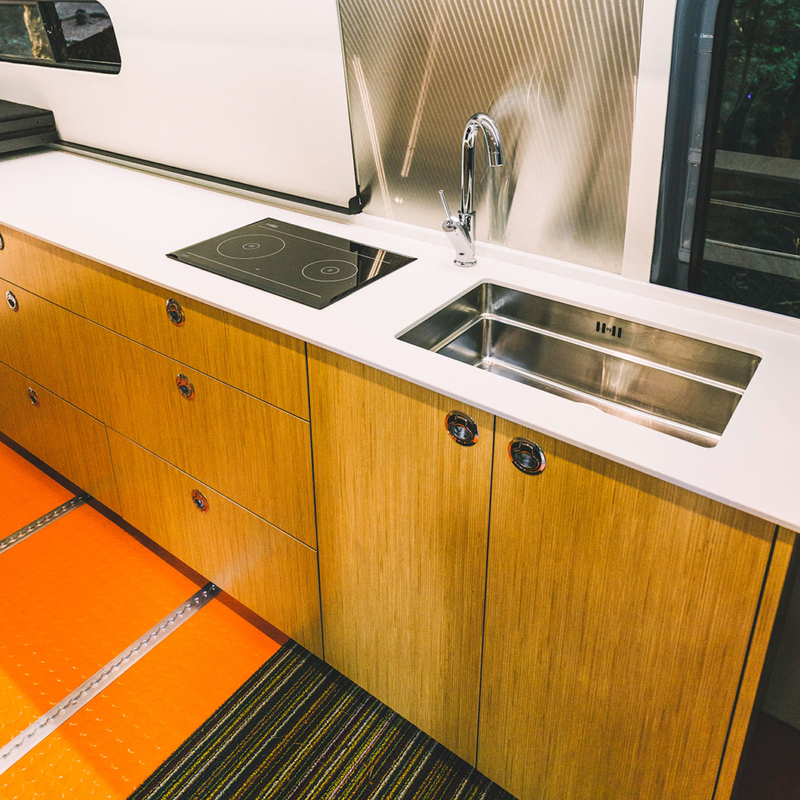 Nomad Vanz has a professional design team with over 25 years of industrial and architectural design experience. Our team can guide you from sketched ideas to the ideal design layout and interior design. 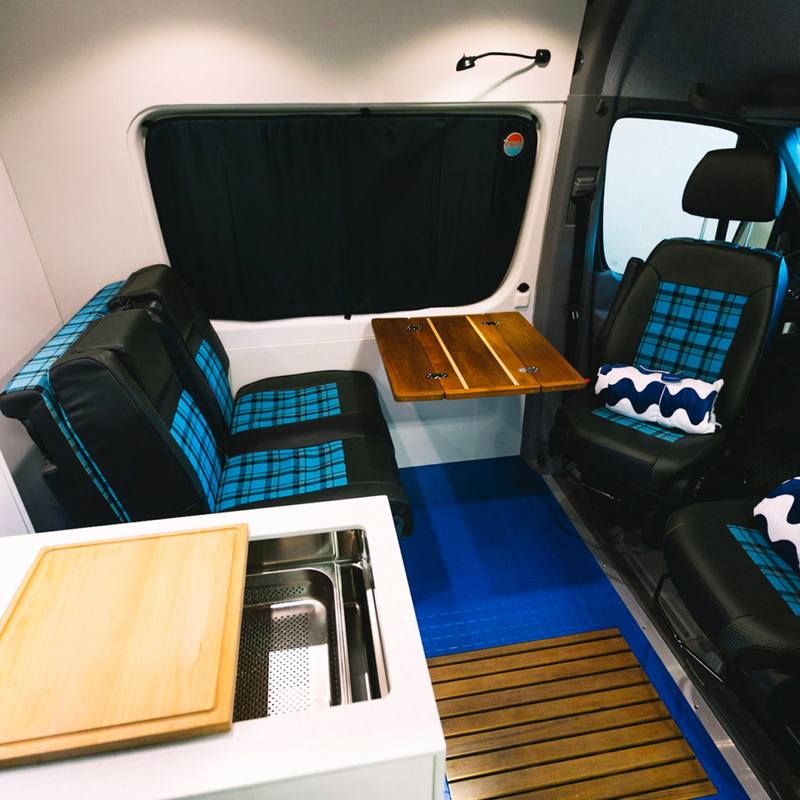 Nomad Vanz also consults on materials and products, and for those needing an extra fun pop of colour in their vans. We call it Ground Control, the Command Centre, and the Rain Closet. 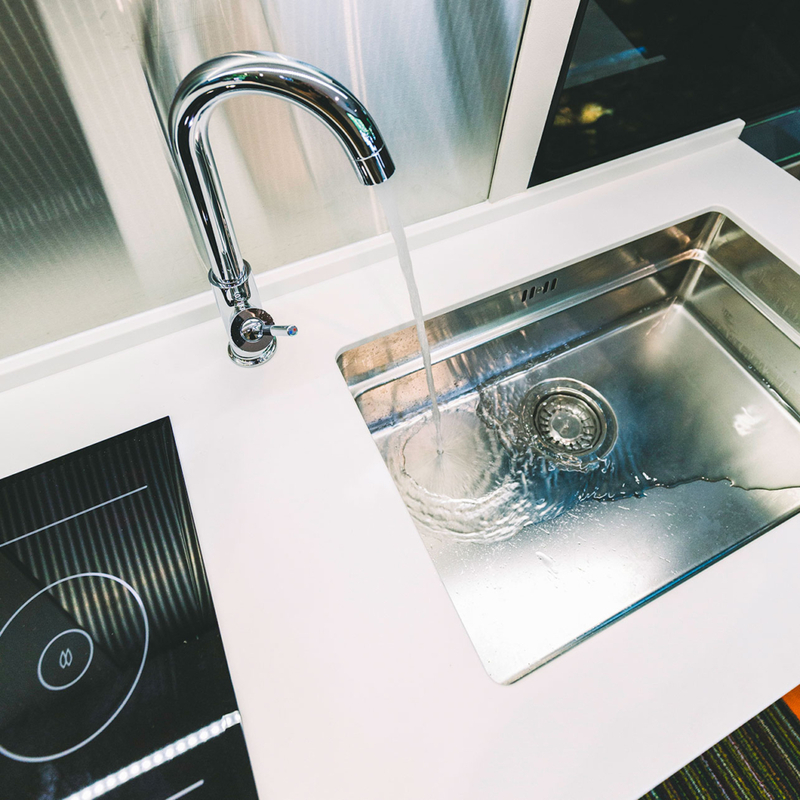 Let our experts design an integrated electrical, heating and plumbing system tailored to your needs. 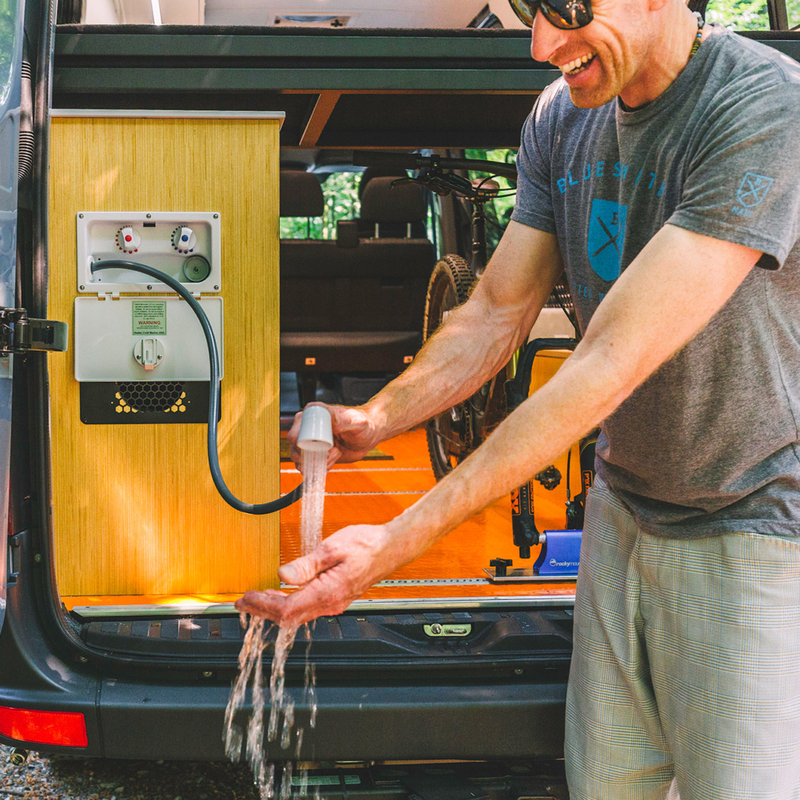 A Nomad Vanz fresh water system incorporating the Mother Ship replete for hydration and rinsing needs. The Oasis joins forces with the Talking Head, Ground Control and the Command Centre. 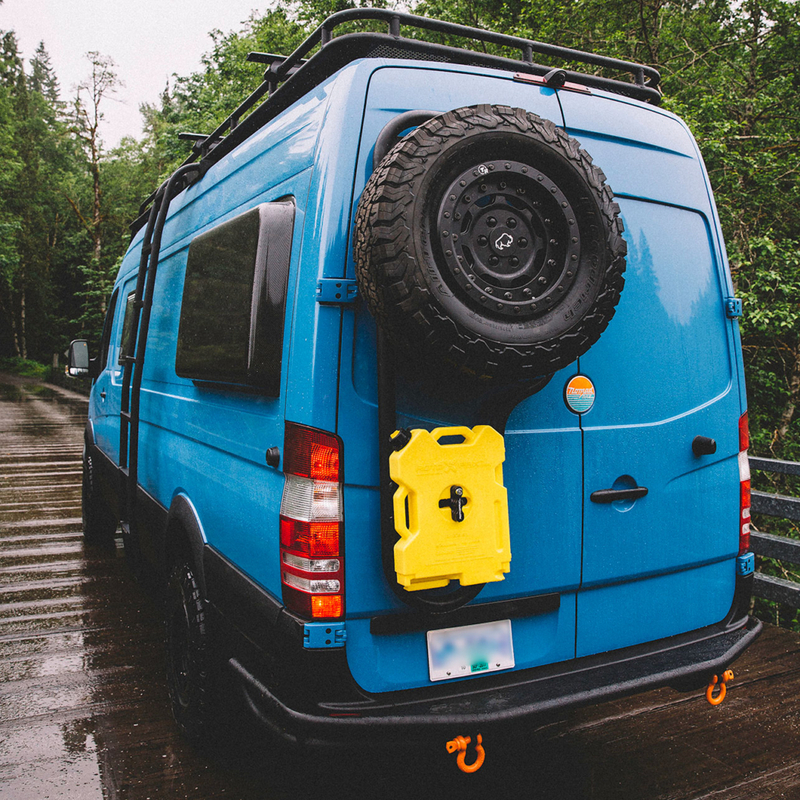 A Nomad Vanz designed spare tire rack with a distinctive look. The Talking Head removes the spare tire to make room for the Mother Ship. The new bling in town. 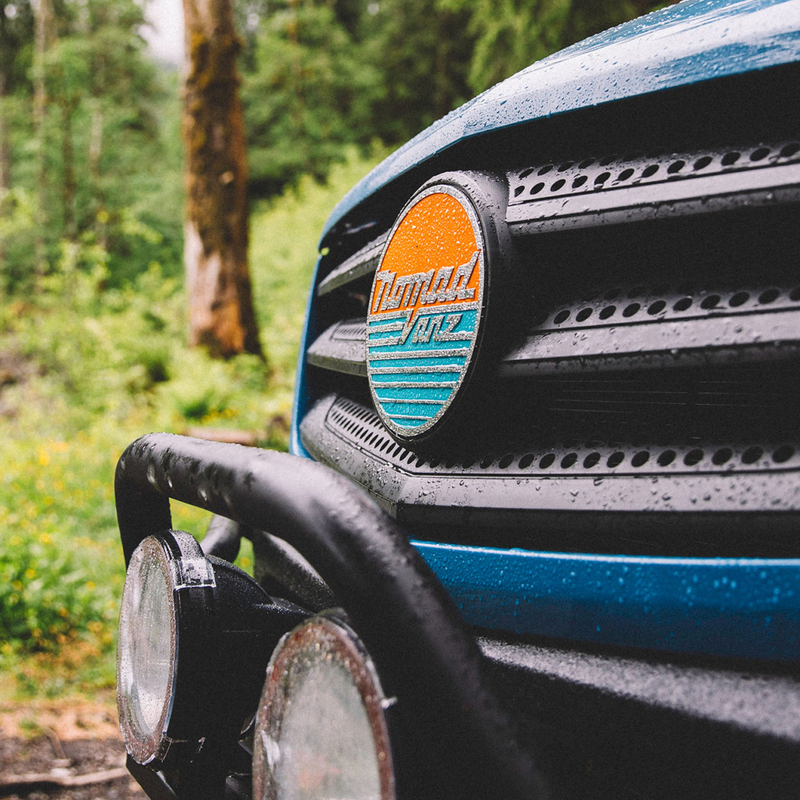 Available to 100% Nomad Vanz content, on the front grill and rear door. Supplied by Fiamma for awning and accessories. 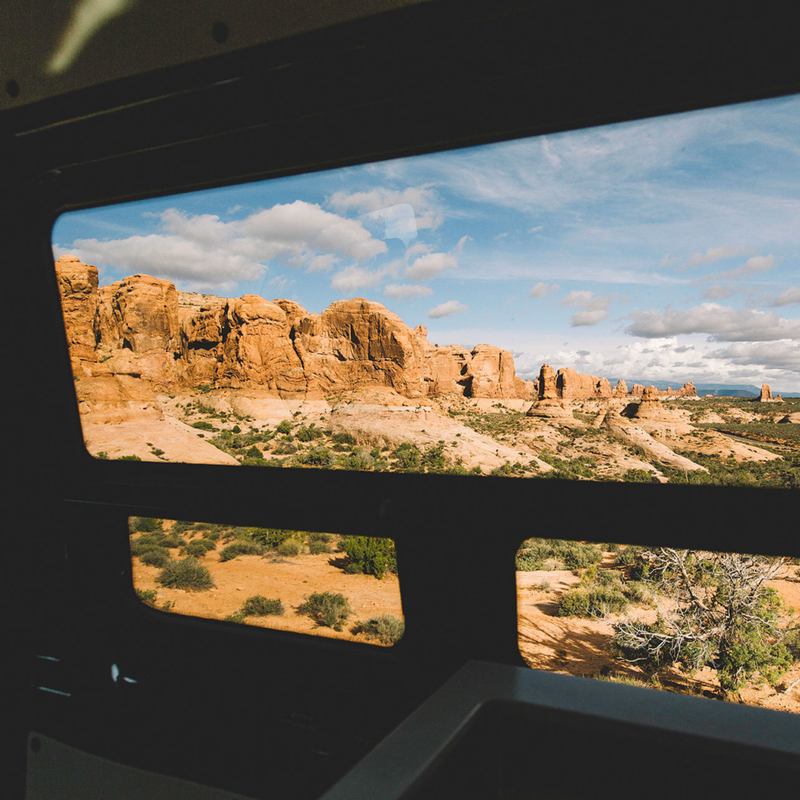 Change the look of your van with our array of window options. CR Laurence, Eurovision, RB Components, Mercedes-Benz Driver’s front Opening Window. 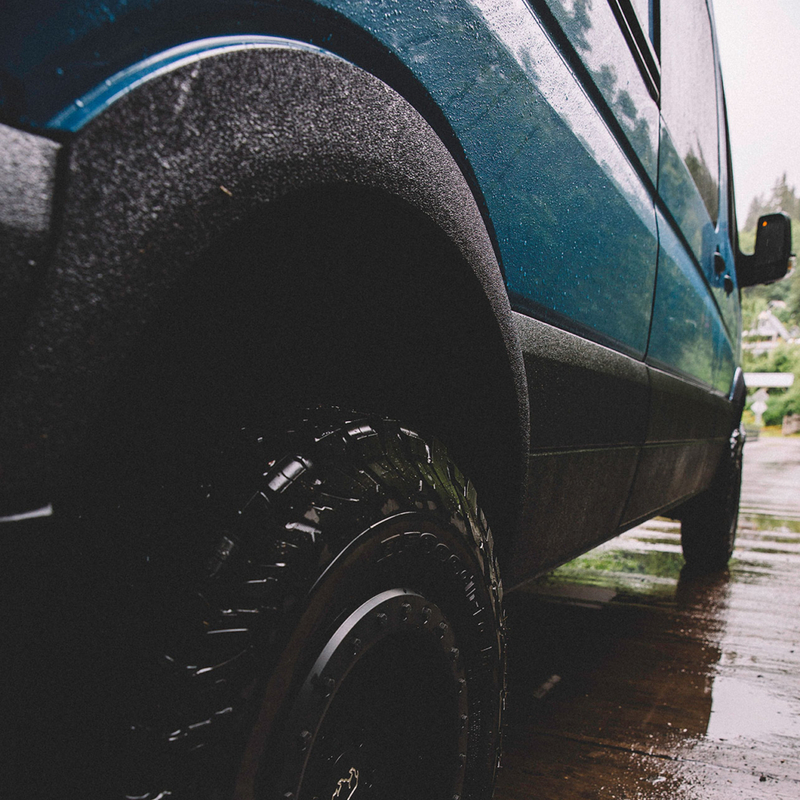 Complete your Nomad Vanz look and improve van performance with bespoke tires and rims. 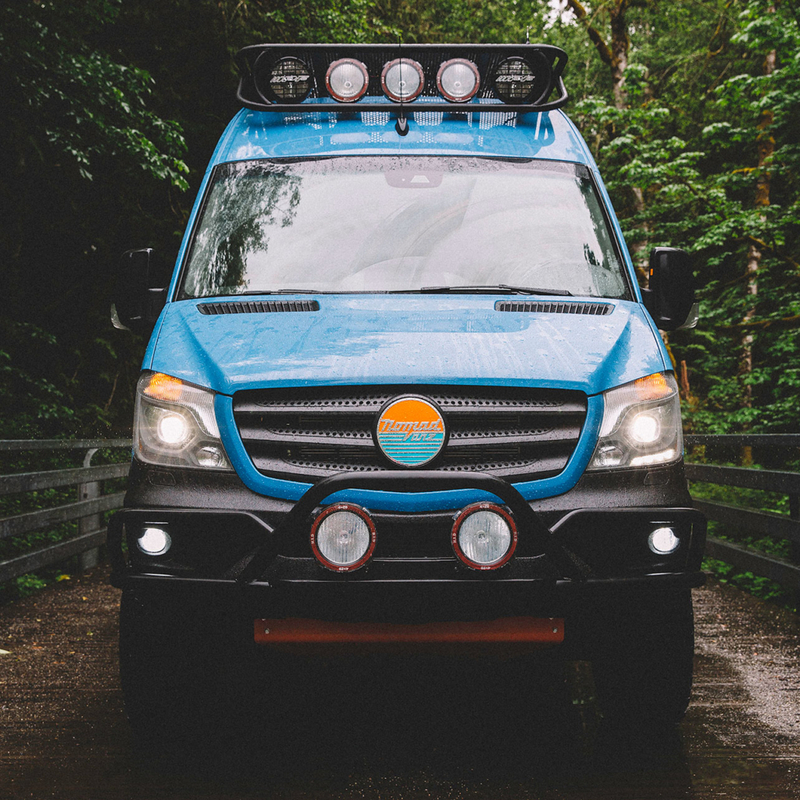 Whether you desire a Safari Expedition rack with lights or a low profile minimalist look, Nomad Vanz has several options for your van. Options for side or rear door mounted ladders. 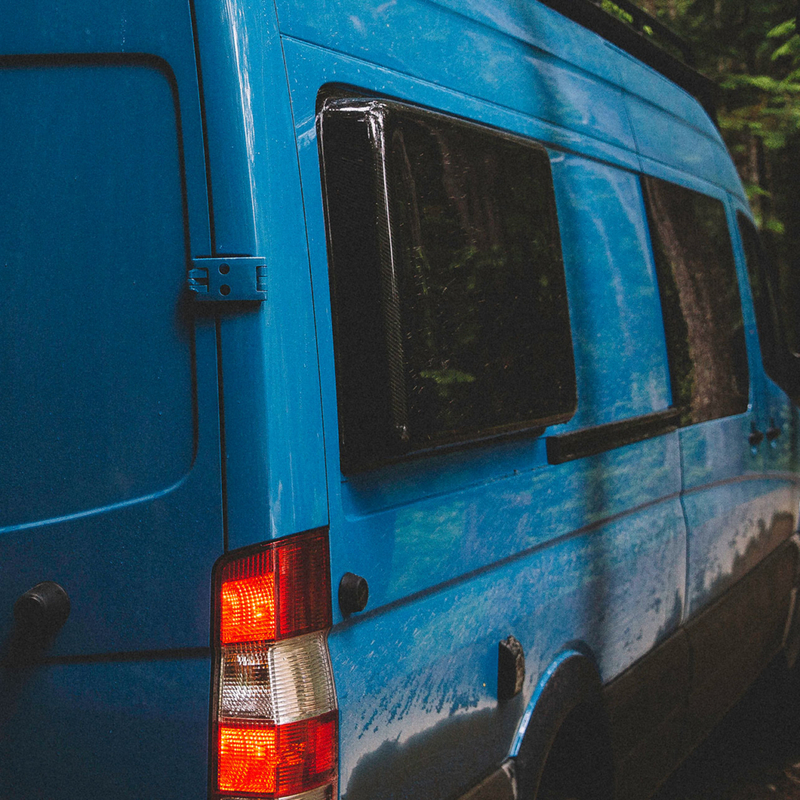 For your adventure van, consider protecting it with skid plates, and fuel tank armour. 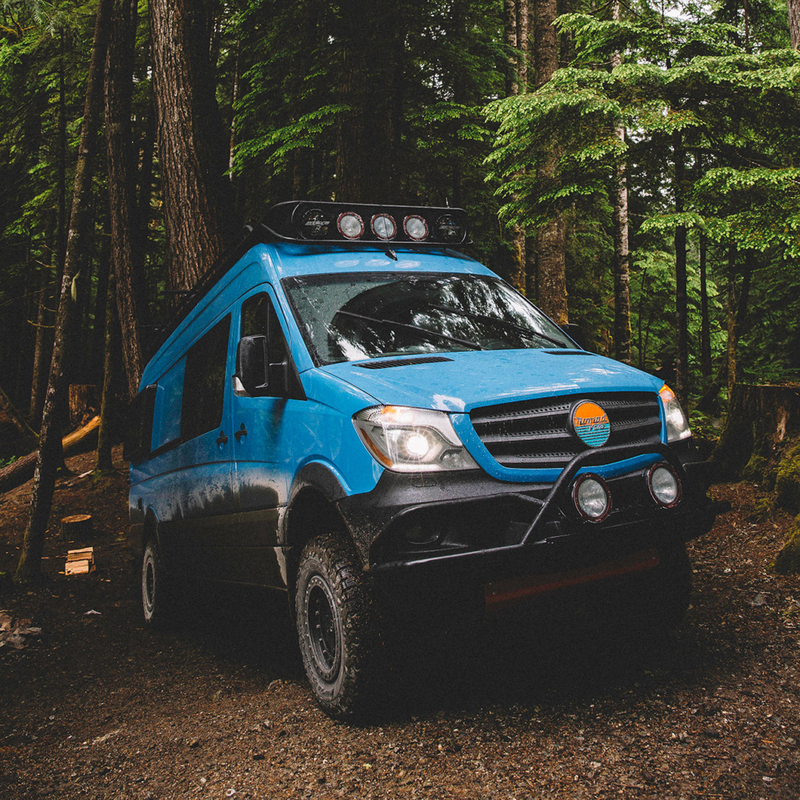 RoamBuilt, Van Compass. 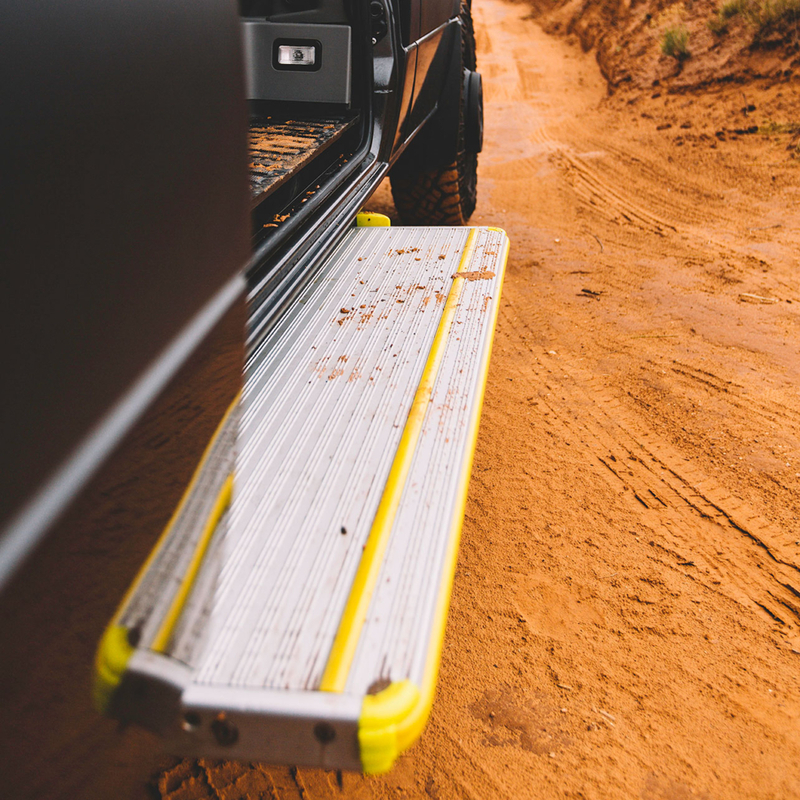 Nomad Vanz has an array of front and rear bumpers, door steps and winches to add onto your van. 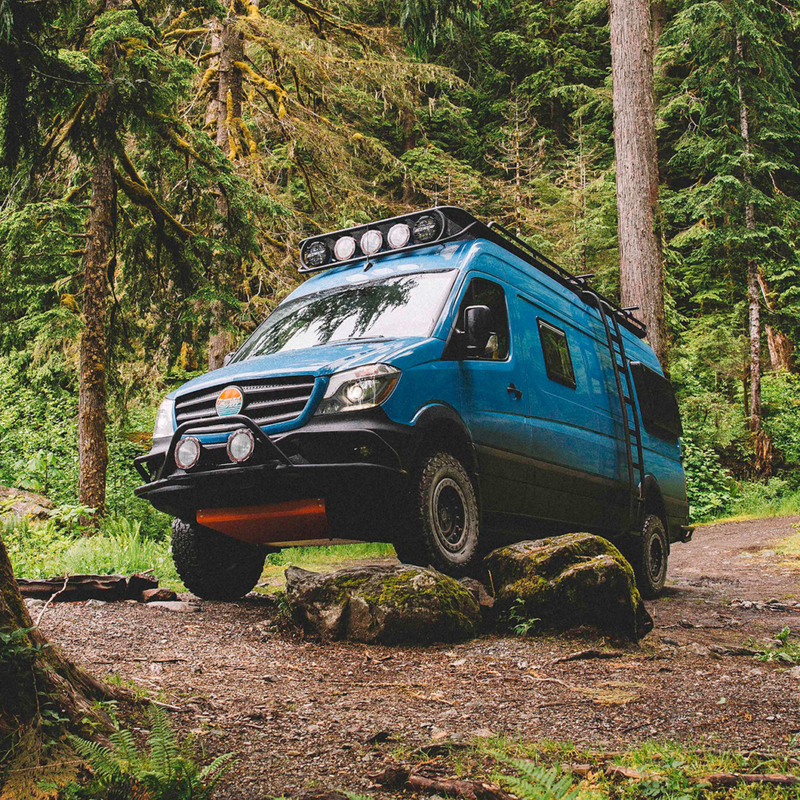 Roam Built, Aluminess, Van Compass. Nomad Vanz protects your investment with spray liner on the interior floor and on the exterior trim enhancement. 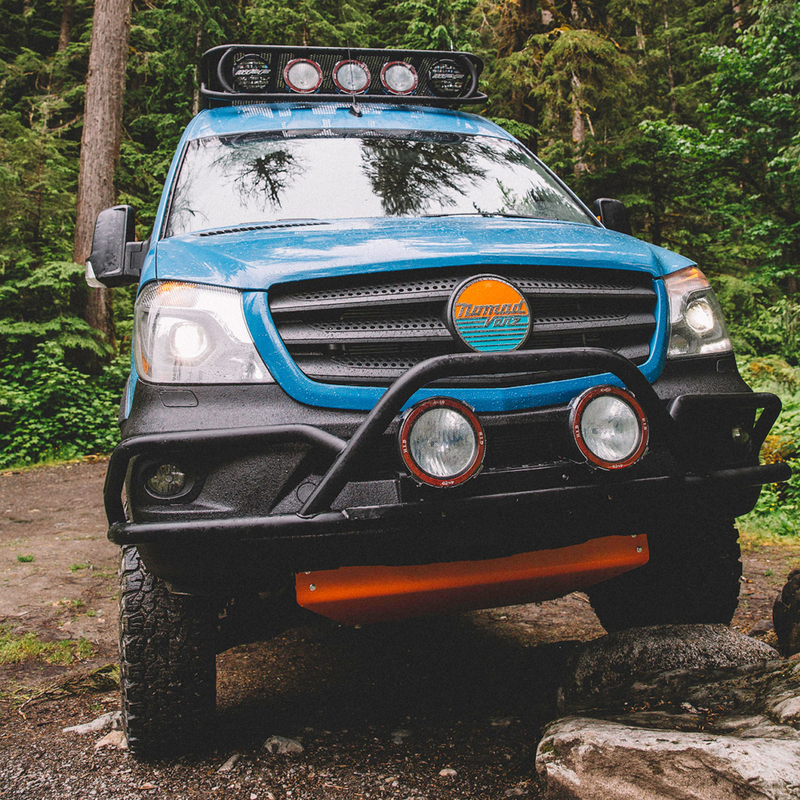 Upgrade your Safari expedition rack with our range of lights and light bars. 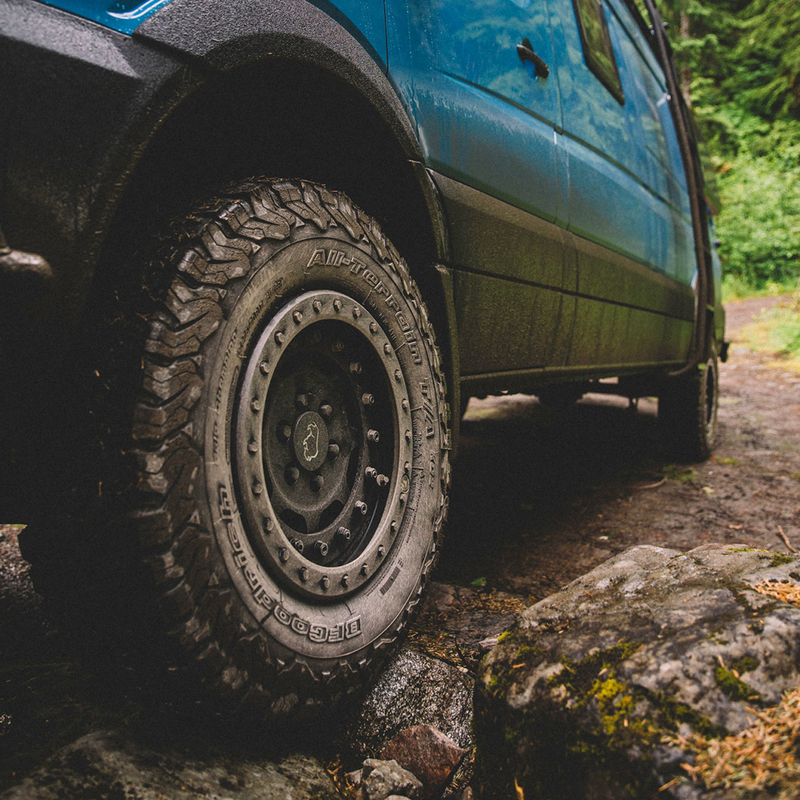 Improve your van performance with a suspension upgrade and lift kit. 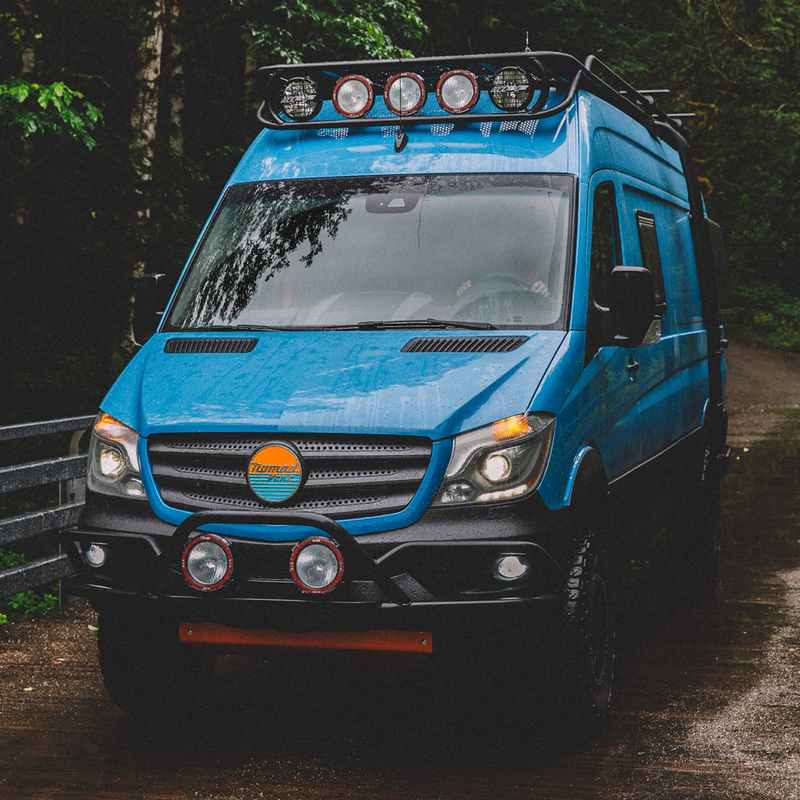 Agile Off-Road, Van Compass. 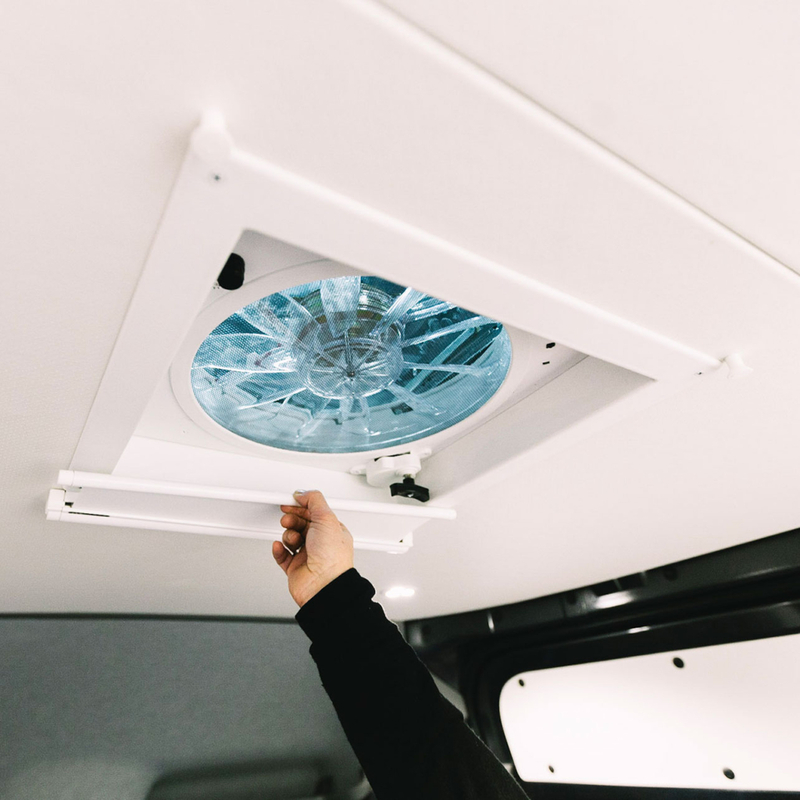 All Nomad Vanz have a high R rating with the insulated wall and ceiling panels. 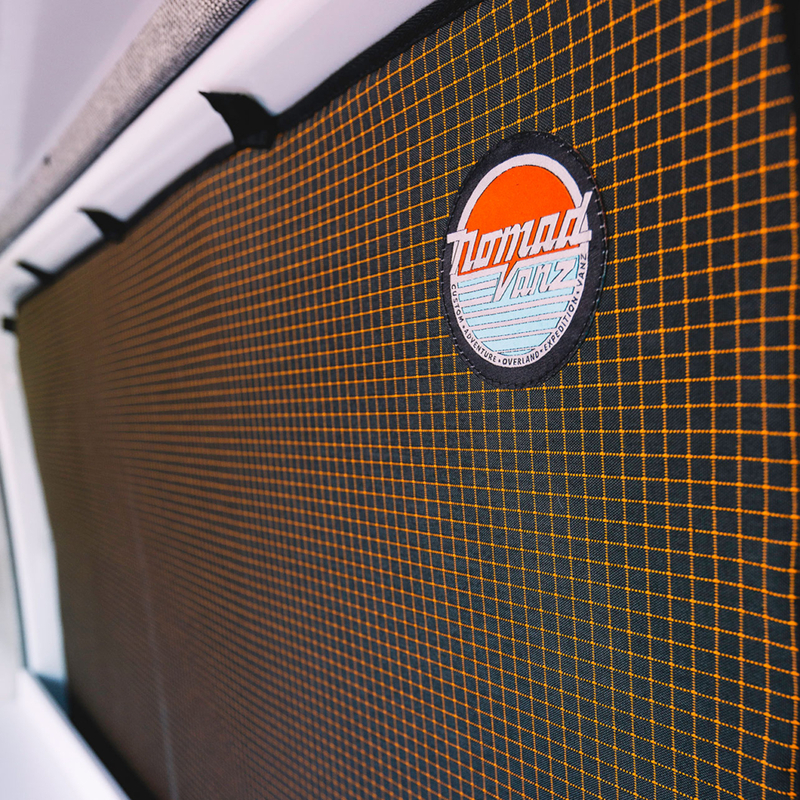 Combined with FatMat sound deadener, enjoy the silent ride in a Nomad Vanz. 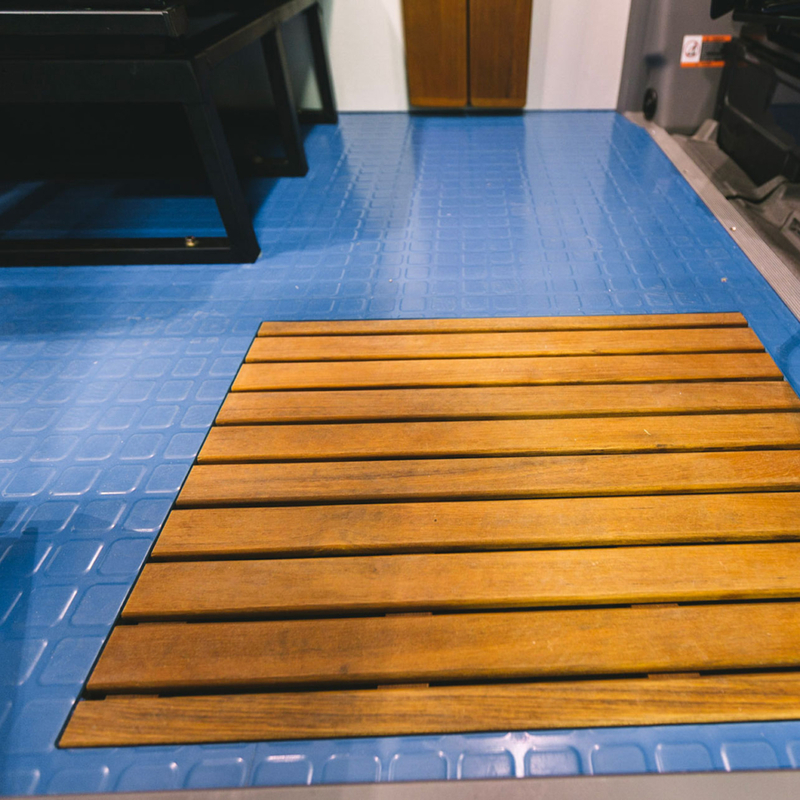 Only the most durable and easy to clean surfaces available in any colour to match your taste! Van life is not the same without all the family members. Extra friends along for the adventures? No problem with an added 2 or 3 seat convertible passenger bench seat. No air conditioning required with the hard working Dometic Fan-tastic Vent Fan. 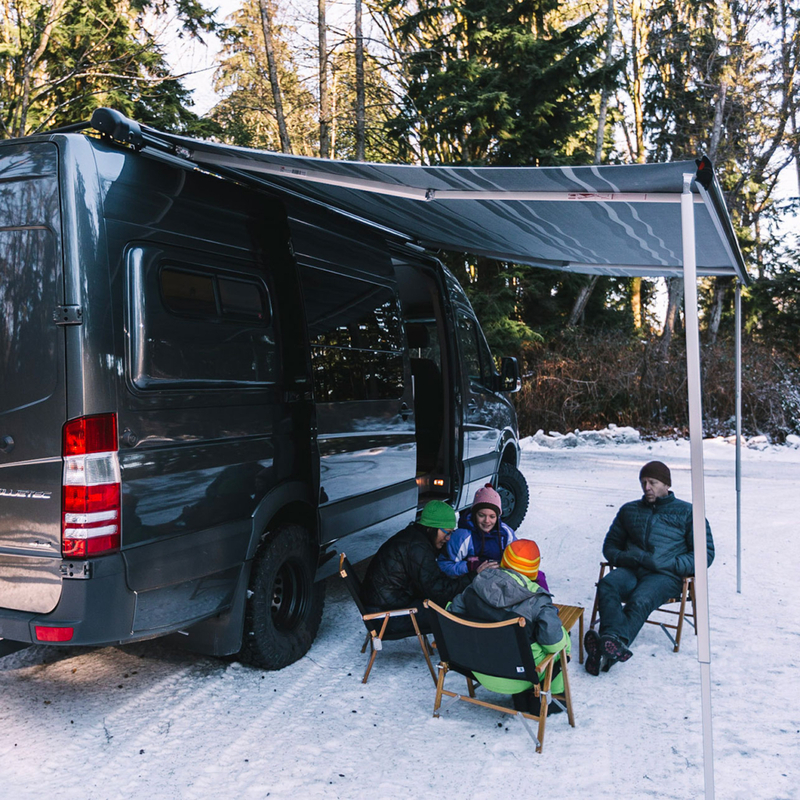 Increase your sleeping comfort and leg room with Nomad Vanz Carbo Loaded Pop Outs for the Sprinter 170” WB or Flarespace Flares for Sprinter 144” or 170” WB. A great option to go with the Nomad Vanz Sweet Dreams. 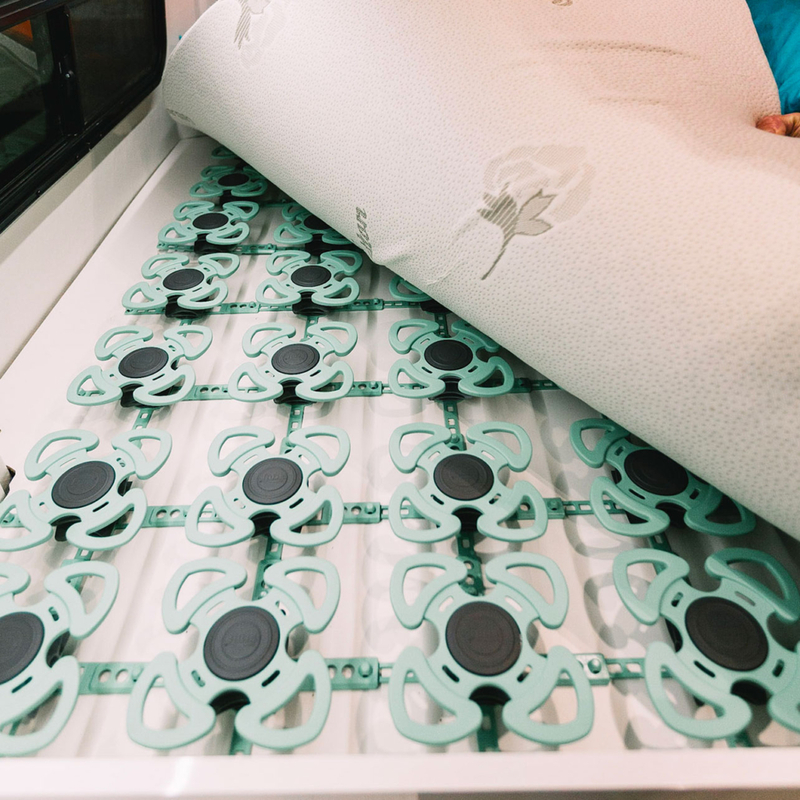 Custom latex mattress wrapped in organic cotton with the Froli bed system makes for a great night’s rest. 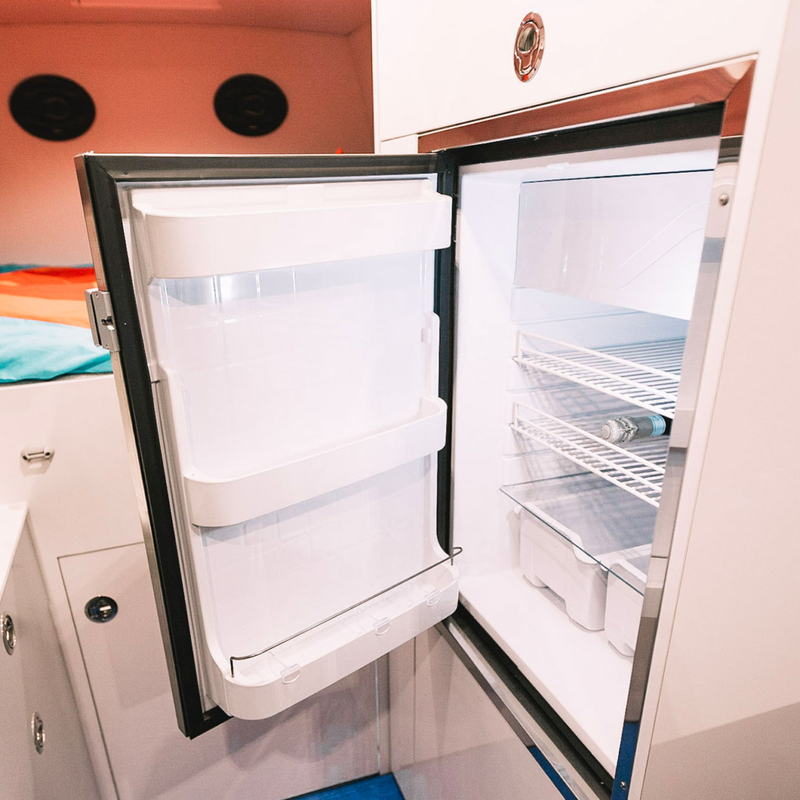 Several refrigeration solutions are available. Pictured: Italian made Vitrifrigo 12 volt DC unit. 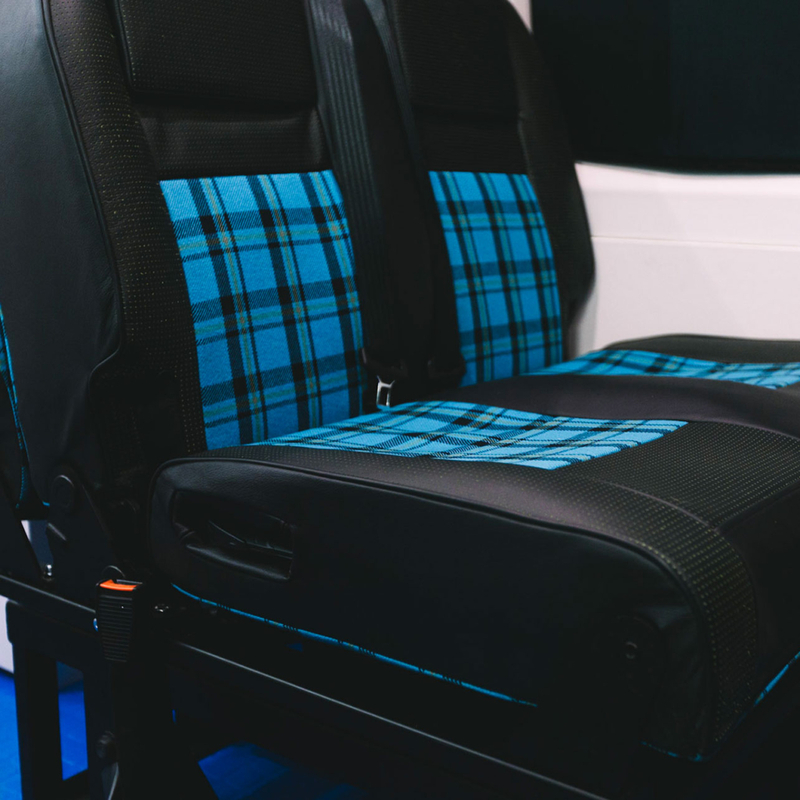 Complete your dream van with our in-house upholstery services. 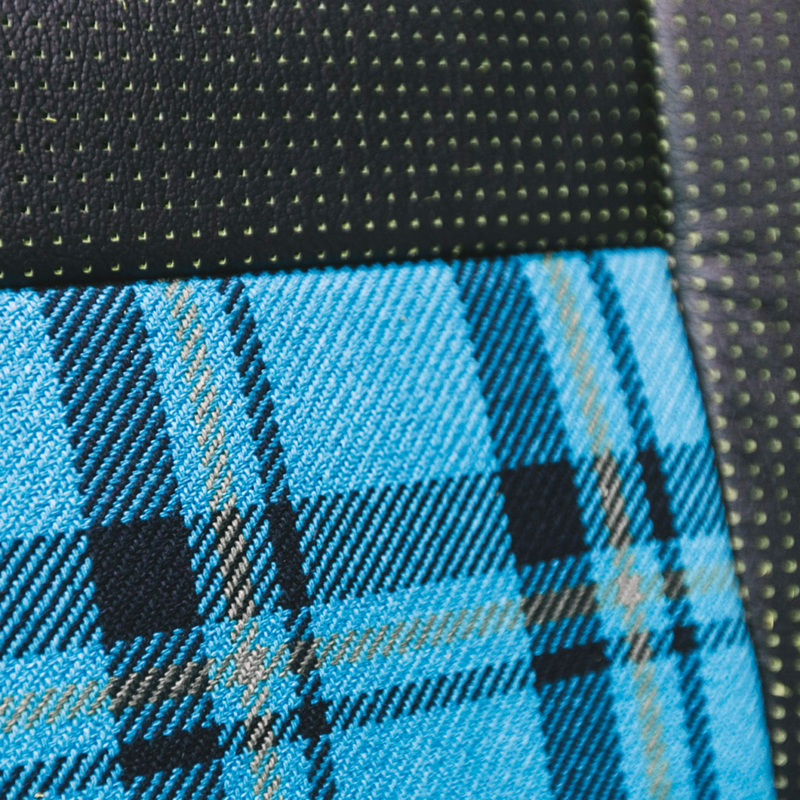 Pictured: authentic VW vintage plaid complimented with perforated leather accents. Dometic SaniPottie 975. 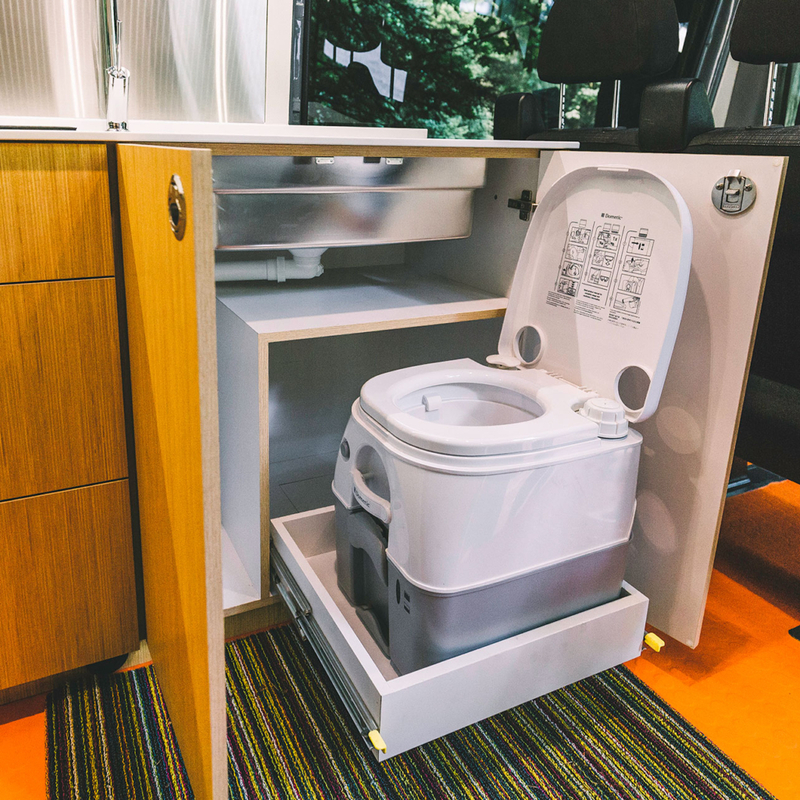 Space saving design with Nomad Vanz drawer slides to tuck away when not in use. Sewn by hand, these shades will help to keep out heat and provide privacy during the evenings. Backed with durable nylon fabric and Nomad Vanz embroidered badges. 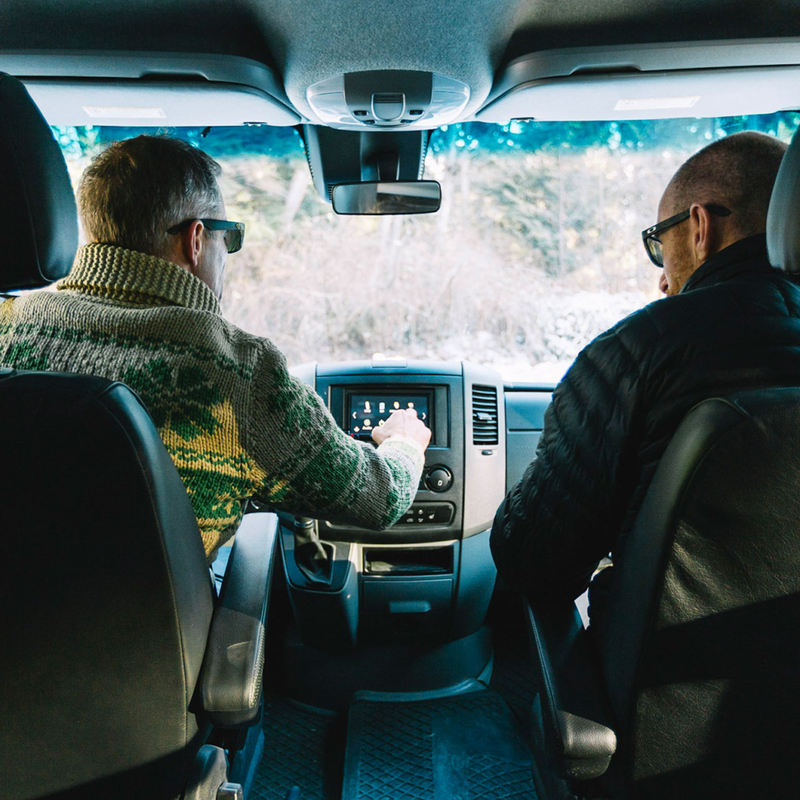 Nomad Vanz provides custom entertainment, navigation, and back up assistance solutions. 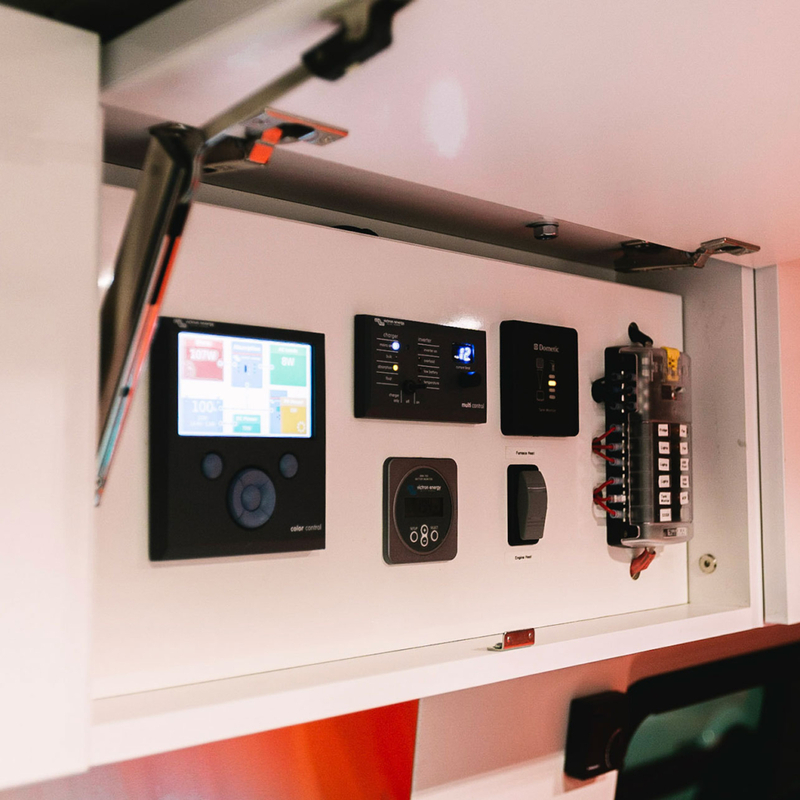 All systems are controlled by the Command Centre tucked into a cabinet in the living space. Partner suppliers Victron Energy, Wallas, and Webasto. 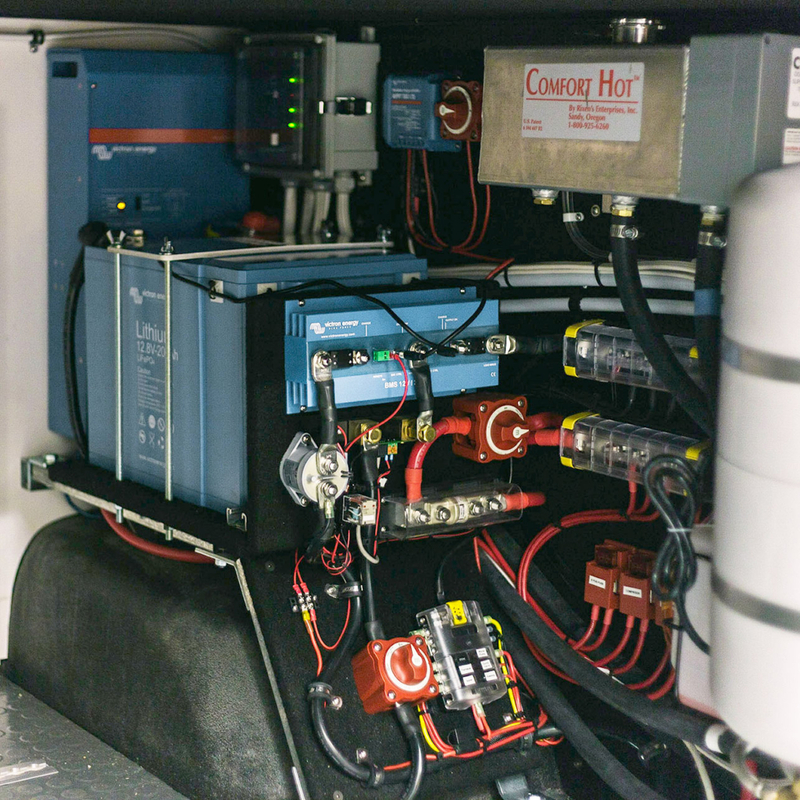 Ground Control is the complex integration of the solar, mechanical, electrical, heating and plumbing systems designed into each Nomad Vanz. Partner suppliers Victron Energy, Wallas, and Webasto. The Mother Ship is an integral part of the Oasis. It is a 175 litre stainless steel tank under mounted in the location of the factory spare tire. 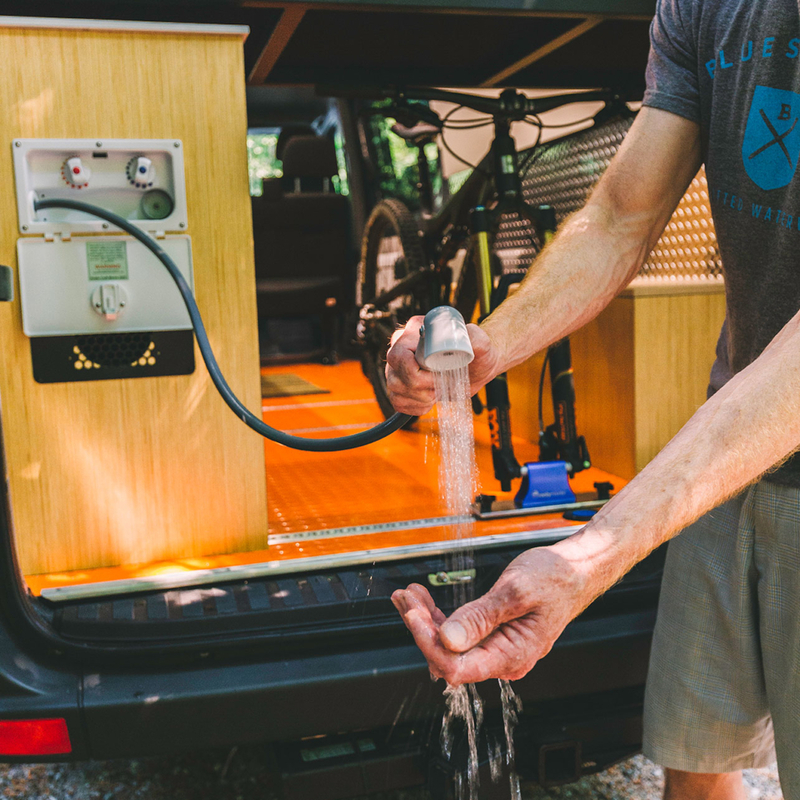 Fully replete for all your hydration and rinsing needs! 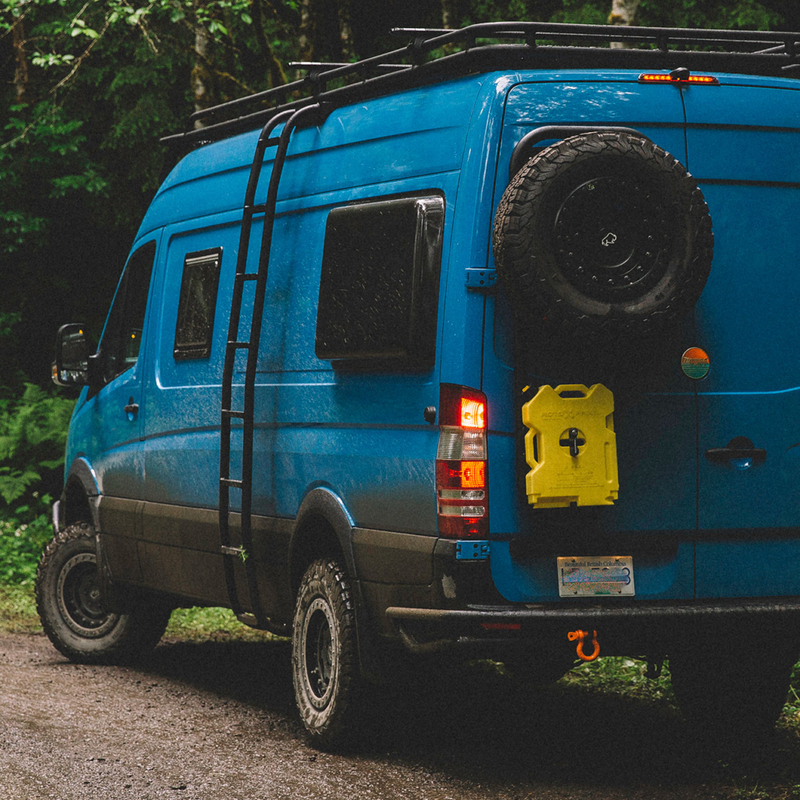 We also offer the Mother Ship Universal, designed to under mount any Sprinter van model using the factory spare tire clips. An indoor/outdoor shower at the rear or at the front side entry with a flush mounted shower pan. 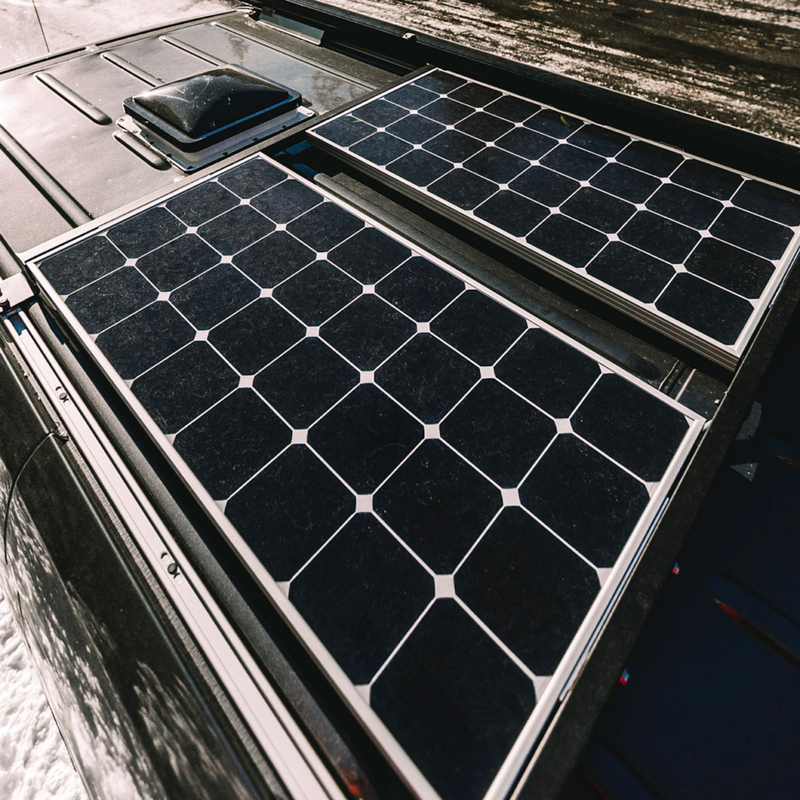 In the core of Ground Control, Nomad Vanz chooses manufacturers such as Victron Energy, Smart Plug, Lifeline Batteries, and Zamp Solar because of their reliability and ability to operate under extreme conditions. 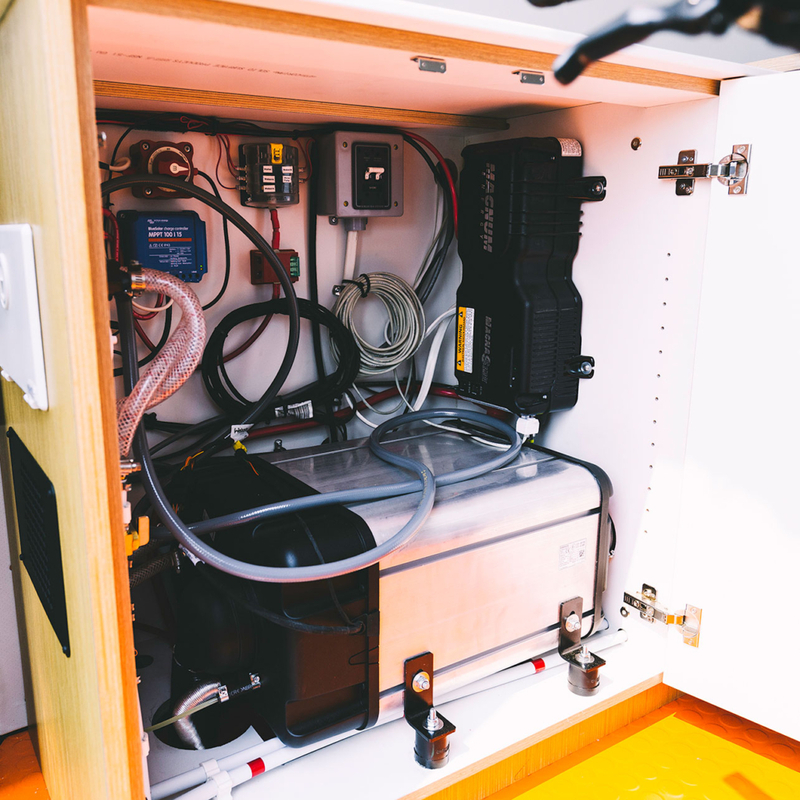 Integrated air and water heating systems provide cozy cabin heating and hot water in all seasons. Partner suppliers include Webasto and Wallas. Air compressor for inflating moto, bicycle, or van tires. 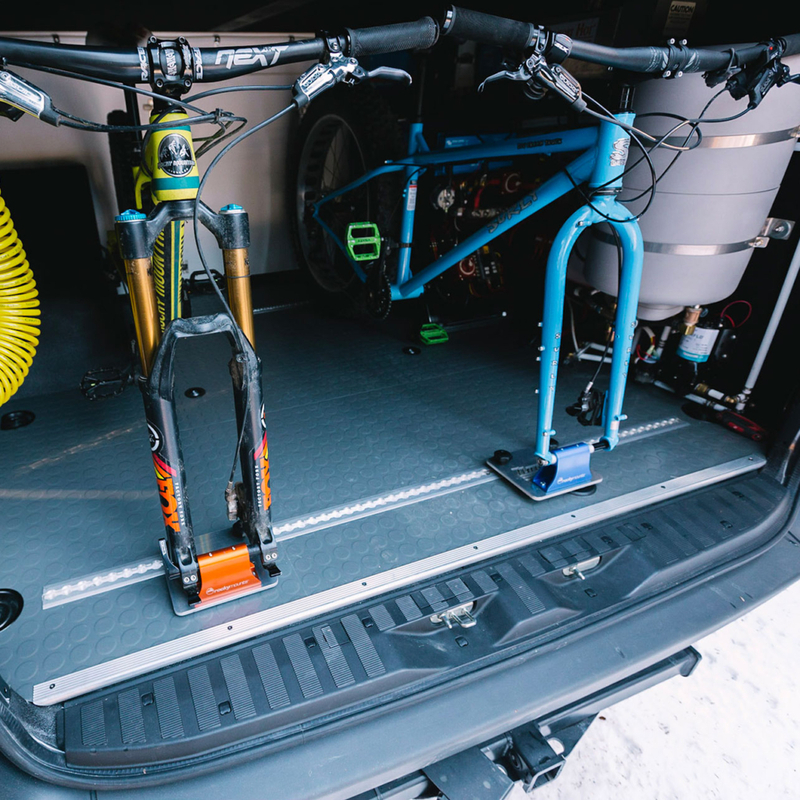 Storage solutions for all your toys like our custom Nomad Vanz Fork Mounts. 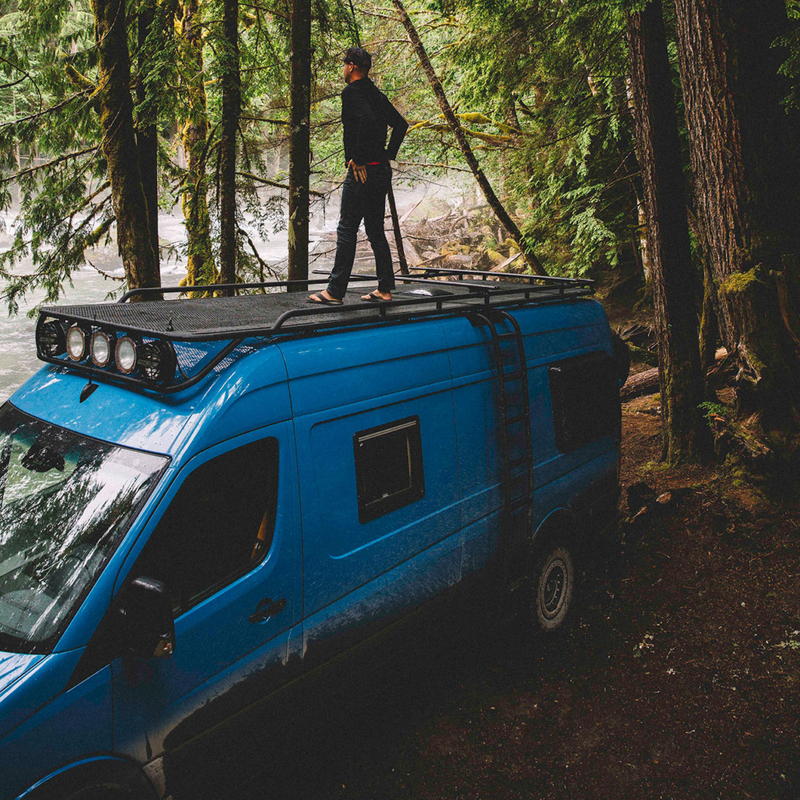 Each Nomad Vanz is designed with a garage, so you can take everything with you!